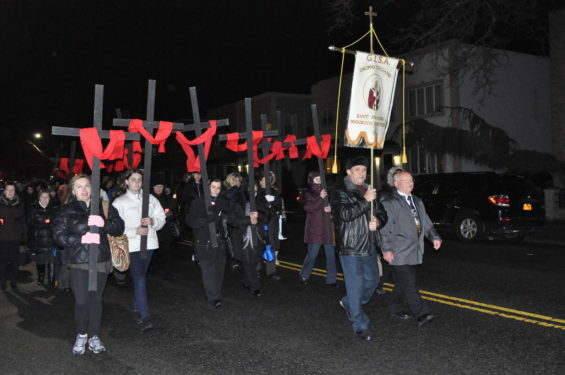 Bishop Nicholas DiMarzio participated in the annual Way of the Cross through the streets of Bensonhurst. 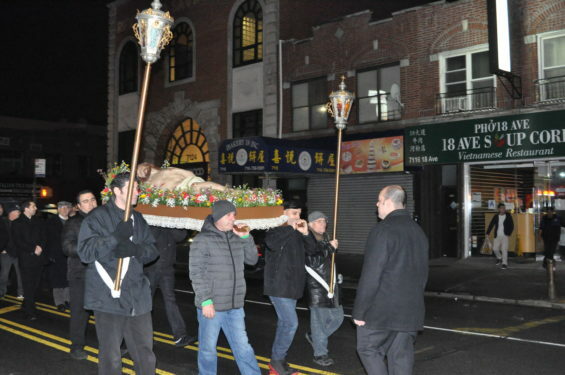 This year’s walk began at St. Dominic’s Church and processed to St. Athanasius Church where an outdoor service was conducted. 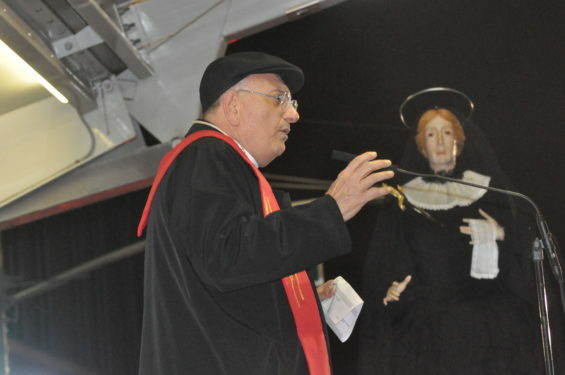 The bishop spoke in English and Italian and blessed the walkers with a relic of the True Cross.